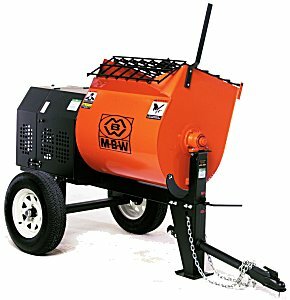 MBW has chosen the less traveled, higher ground; we have not sacrificed mixer quality. You may pay a little more for a MBWMortar Mixer, but the returns in lower maintenance and longer life are worth consideration. We’re so confident in the superiority of MBW’s mixers that we simply encourage you to take a look and draw your own conclusions. Here’s a short list of things to compare: paddle shaft and clamping design, bearing capacity, trunion and pillow block quality, frame strength, drive gears, belt tension mechanism, drum latch/lock system, drum and grill weldments, engine shroud, front leg design, material types and gauge throughout the mixer.